I just read the best, most fascinating book I believe I have ever read. Yes, that is a bold statement. Yes, it may not be everyone’s favorite book. But yes, this book will teach every human being something. 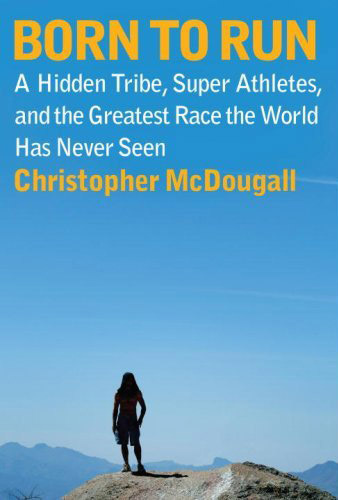 Born to Run by Christopher McDougall made an incredible argument that humans are not “The Walking Man” but instead “The Running Man.” If any book will convince you to get off of your bum and onto your feet, this will be the book. If any book will convince you to try running barefoot, or eating less processed foods, or being compassionate, this will be the book. I thought this book was fantastic too. In addition to the great life/health/motivational takeaways you mentioned, the story of the famous underground race in Copper Canyon, Mexico was captivating. It has made me think about my running too. I haven’t gone so far as barefoot running, but I have embraced a more “natural” running shoe and stride using Newton Running shoes. For anyone who isn’t quite ready to jump all the way to Vibram Five Fingers, Newtons are a great stride in the right direction.